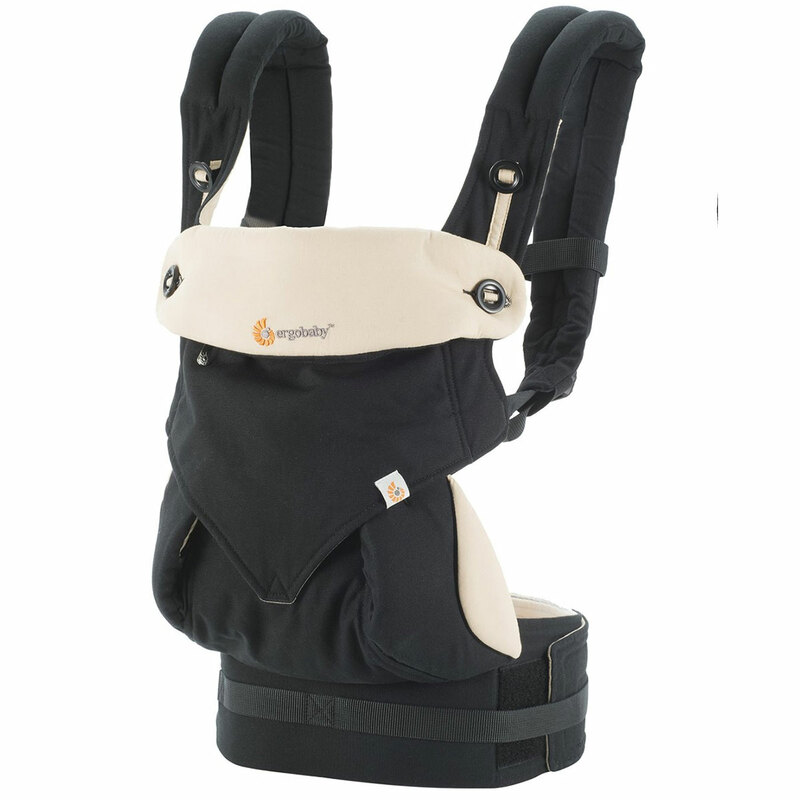 Choose from four comfortable and ergonomic ways to wear baby: Front-Inward, Front-Outward, Hip and Back carry positions. Brought to you by the brand you love and trust, Ergobaby's Four Position 360 Carrier offers you the ultimate in flexibility of wearing your baby in the ergonomically supported front -inward, back, hip and now front-outward carry positions. The Ergobaby Four Position 360 Carrier?s innovative design features a structured bucket seat to support your baby in an ergonomic seated position and for recommended hip and spine positioning. The revolutionary carrier seat is designed with buttons for an adjustable width that grows with your baby to ensure comfort and ideal hip positioning in all four carry positions. 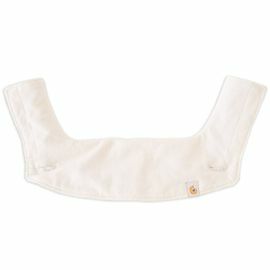 The carrier features an adjustable back panel to provide added height and neck support for your baby with a stowable hood to support baby's head while sleeping, protect baby from sun and offer mom privacy while nursing. The Four Position 360 Carrier also features a newly designed waistband that easily and securely fastens with velcro and can be worn high or low on the waist for wearer comfort and provides extra support for the lower back. The Ergobaby Four Position 360 Carrier is usable from day one with your newborn with an Ergobaby Infant Insert (sold separately & for babies 7-12lbs/ 3.2-5.5kg) and up to 45 lbs. It is very strong, look like lovely. This is a great carrier for events like football games (tailgating, walking, long days, etc.). It was a great price, and it has a lot of support for back, etc. Love that it has all the different positions! Would recommend! This baby carrier is so comfortable! Gives me great support on my back but most importantly my baby is so comfy and cozy in it. She falls asleep as soon as I put her in it. And I love how it was made with such great quality! You really can�€™t compare to others. We decided to buy this version instead of the Omni 369 because it was cheaper, but with great reviews. The product definitely did not disappoint. Great quality and baby loves it, especially when we put her in the front facing position. My husband loves the waist support and the fact that it's really easy to put on. Best infant carrier! Can use from infancy through toddler years. This carrier is extreamly comfortable for me & my baby, I am on my 2nd child and saved it for I can use it and after 3 years still gives me the same comfort and support. ProsFits all sizes even plus size Thick material Comfortable Easy to use without help Great for traveling & even long walks. Best UsesIf you live upstairs and you need free hands to carry things up to your place. Love this carrier, and dad especially enjoys using it with baby! So comfortable and baby loves it. She didn�€™t like the mesh of the bjorn we had but is fascinated by this!! I needed a baby carrier and a friend let me borrow her Babybjorn. It was so uncomfortable and my son felt way too big for it. I�€™m so glad I purchased the Ergobaby. My son fit in it no problem and felt way more comfortable for me. Great quality and very easy to put it on. The colors are even better in person than in the photos! My husband is so excited to carry our daughter in it! Great product and bright color! This carrier is Extremadura easy to use. One of my favorite features it how easily it can go from the wide seat to narrow. At first I hated how loud the Velcro was but it hasn�€™t been a serious issue. I just try not to take it off while baby is sleeping. I also love that because of the Velcro I seem to get a much better fit than my other carriers. I bought this so my son could face outward. I normally use a Tula and definitely prefer that for inward facing. I just don't like the velcro waist band and all the straps. I love the color! purchased on black Friday and it's a great deal. good quality. although I haven't used it because my baby is only one month old, can't wait to wear it! a must have one! I love this carrier ,can't wait to use it when my baby gets here! The fabric/color is really beautiful and I also like the back support .Highly recommend it . This carrier is a lifesaver! My son is happy in it and I get so many things done I would not other wise. Its sturdy and comfortable for both my son and I. Nice weight distribution. We use it mostly as backcarrier as my son has become heavy enough that I find it easier to carry him on my back. The customer service is also outstanding which is a very important factor for me. This is the best 360 carrier in the market! My little one is so comfortable in this carrier and really likes forward facing as he is getting older. I love this carrier. But it's a little hot for us in the summer. Everything else is good. 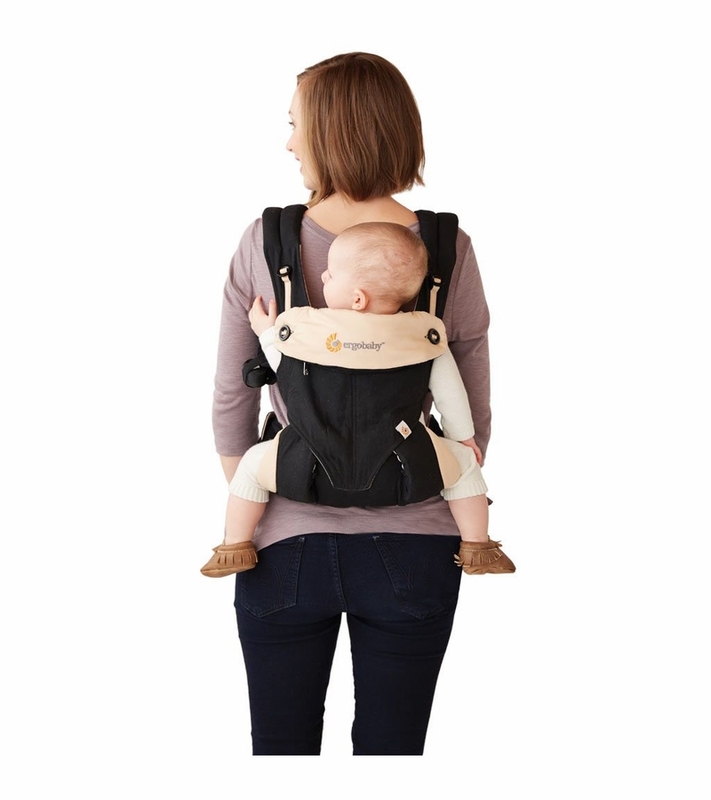 Best overall baby carrier, easy to use and operate baby seem to be very comfortable facing front or towards dad/mom. However, the material is a bit thick and hot for hot summers. If you live in areas which sees more 90+ degrees should consider a lighter material. This is an awesome baby carrier. It is supportive, comfortable for parent and baby, and our baby loves riding around in it. A traveling must have. Ordered this baby carrier last week, received promptly, love the style of it and the fact it can be used in multiple positions! Thanks Albee Baby for your helpful service!! Recommend purchasing any of your baby needs from here! Pleased with purchase! Timely shipping and competitive price. Love the functionality of this carrier and the fact I can carry baby in multiple positions. I bought this a month ago to replace my babybjorn as my son was getting too heavy. I love that it disperses the weight to my hips and shoulders like a backpack. The only complaint I'd have is the snap system around the hips on the mesh carrier would have been nicer than the velcro wrap this carrier has. 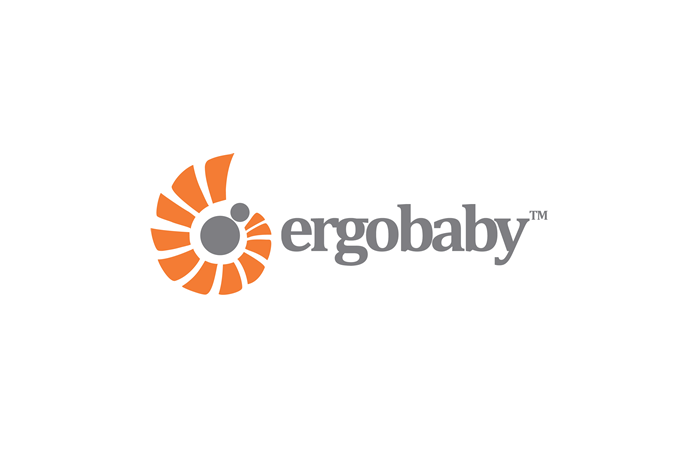 We love having our Ergo baby. It is so nice for when our newborn wants to be held but we still need to use our hands to finish up work projects. It's such an easy way to carry her around! Great product, fast service, Albee baby is definitely the only place to shop! I like the design and structure but it seems not easy for just one person to put baby on and adjust all belts. We are really enjoying our ergo -- the only drawback is the Velcro waistband as it's super loud taking it off and wakes our baby up every time. I know it's probably there to provide a better fit but I wish it was just a buckle. The 360 model is great though. Very comfortable and versatile. Every mom should have an Ergobaby 360! Love this carrier! It is very comfortable for both of us, and supports well the back. This carrier is perfect in every way. Makes your life easier when you can carry your baby and you have free hands at the same time. I did my research and was pleased with the EBC. The only thing that's hard to do is wash dishes. But I'm pleased with my purchase and would recommend this product to anyone who asked about it. I managed to get it two days ago through my friends in States. I absolutely love it! My son is 11 months old and he is such a koala, always wants to be held.He hates his stroller (though it is Bugaboo Chameleon, a very good one huh) and I always end up carrying him and pushing the stroller. I found it easy to put the carrier on without any assistance, even the back position. It took me a few minutes. Ewan fell asleep almost right away and napped for two hours while I was walking around. He obviously was very comfy there! I guess the band is a bit loud when being taken off but it's not an issue, at least for us. I just put him into bed and go take it off in the other room. The design is lovely, distribution of weight is great (I have been using baby born for 11 months). This carrier is just amazing! Worth the money. P.S.Start delivering to Russia.You will have tons of customers!! We love the carrier! It is easy for me or my husband. We bought an older version of the organic baby carrier. We received this as a warranty replacement. Compare to the organic one, the inner (the part that touches the baby) is just as soft. However, the straps are much rougher. I do though love that my baby can sit face forward in an ergonomic position. I also like the new waist band, much wider and more comfortable for the waist and back. The neck support for the baby is awesome as it is non existent in the old version. Love this carrier. Only one thing I wish I could change. My little one meets the weight requirements but is still a little on the short side and the carrier tends to hit him right accriss the mouth. We give him a boost with a towel under his bum and that works fine. Once he is a little bigger I don't think there will be any issues. Also works great for nursing on the go, hands free! I bought this a few months ago in the hopes of allleviating the persistent neck pain and headaches that accompanied my use of the Baby Bjorn. This immediately did the trick! My 9 month old remains very happy being carried in it, and the weight is so well distributed that I have no pain at all. I love this carrier! Loading and securing your baby requires an extra pair of hands. It is fine once secured, but without my husband's help I could not have placed my infant in this carrier in back. When the baby is in front, I could not secure the closures because they are in the middle of the back. Only if I were double jointed could I secure these without help. It does take the load off my shoulders and redistribute weight more onto my hips--unlike my Bjorn carrier which rests very heavily on my shoulders. The Bjorn, however, is very easy to secure because the closures are on the front sides when the baby is in front. 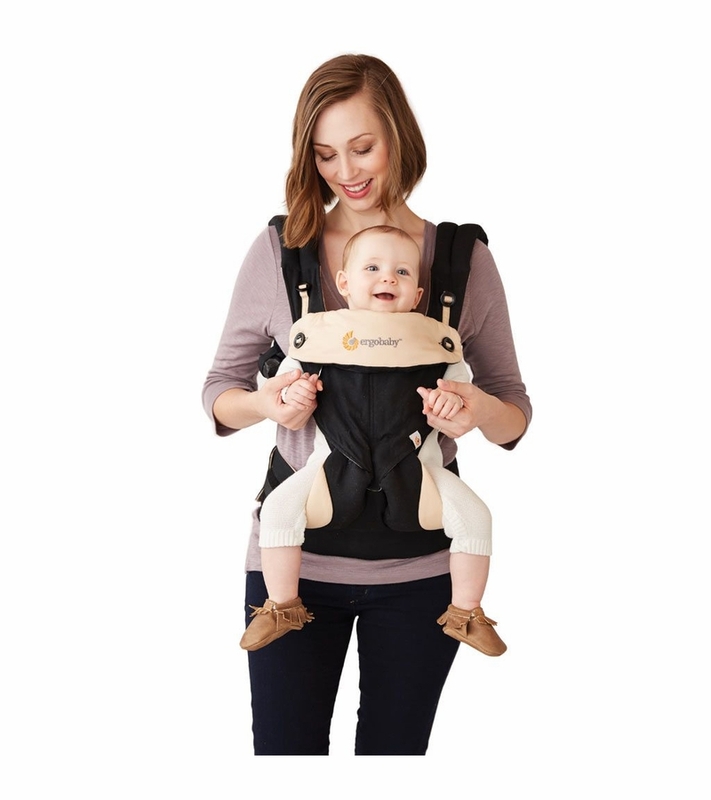 ConsVery difficult to fasten back straps with baby in front without a second persons' help. Difficult to load baby in back without another person's help. So glad I splurged for this one. My little guy loves it and so do I. I can walk so far with him now and not be sore from the other carriers. I bought this 360 baby carrier when my son is 4 1/2 month and it has been working great to free up our hands home and outside. We tried the front outward facing so far, my son seems loving it as he has a broader view to look around. The sitting position could be more comfortable for larger babies. If yours is in between with/without an infant insert, recommend to buy one. Love the Ergo 360. I am excited to use it more as my son grows. I've used it with the infant insert so far. It's a bit bulky with the insert, so I'll probably use it more when my son is a bit bigger and I don't need the insert. I love that you can use it forward facing. I bought it to replace my 3 position Ergo bc I wanted a carrier that I could use in a forward facing position. ProsForward facing option. Baby is snug and secure. Waist belt is supportive. ConsBulky with the infant insert. It takes a little bit of times to get used to putting it on. I used a you tube video to learn how to use it. The directions included are confusing. Best UsesCarrying my baby and still being able to use my hands. Love ergos & especially this one. This is my second ergo. I love this one because it's super cute, but also that my baby can face out. Some days we attached sofie & others I would attach a pacifier.